Mere Mortals probably isn't a name you instantly recognise, but UK readers have experienced more of the company's output than they might realise. The multi-talented team produced the animations for Charlie Brooker's Gameswipe, had a hand in the CG for Danny Boyle's Sunshine and Slumdog Millionaire and is about to broadcast more of its handiwork to millions of homes with a series of adverts throughout the World Cup. With all this going on, how is the studio making sense of the ever-changing digital landscape? Our Assistant Editor James Newton recently got the chance to visit Mere Mortals at its chic Newcastle studio and spoke to the company's owner and technical director Graeme Love about DSiWare Pocket Packs and the future in a newly uncertain industry. Nintendo Life: Could you tell us a bit about Mere Mortals and its history? Graeme Love, Technical Director: We started in 1999 so we’ve been around for a while. We started from the ashes of Beyond Reality, my first job coming out of Unviersity: we were working on a PSOne title but unfortunately that was about the time of the great Sony and Psygnosis fallout and basically we were one of the casualties. It was the sort of situation where if you weren’t at the beta stage, then it was bye bye! So the boss stuck around for a little while but we had to close down in the end, but we decided to use our last paycheques to buy some assets and we set up Mere Mortals, just the two of us. So we kind of got by, doing a lot of contract work for Mobius who later became Rockstar Leeds. We did a lot of stuff with Midas, a lot of Japanese translations for PS2, which was very lucrative for the size of the company we were: there were about five of us, and it was quite fun. Our biggest title was probably PDC World Championship Darts for Wii, and the 2008 version was quite well-received and I think we made a decent fist of it. NL: It’s not an easy sport to replicate really, is it? GL: Not really no, but if we’d had the MotionPlus it probably would have been easier but with the Remote at the time it was very difficult to find a balance between making it straightforward enough for newcomers and hard for people who were good at it. We weren’t able to use our preferred control mechanism which was actually throwing it! I used to throw it that way and get a treble-20 every time but sadly if the wrist strap goes it’s bye bye TV! NL: I can see why that wasn't included! What other Nintendo titles have you worked on? GL: Darts was our biggest one, and we did World Sports Party for Ubisoft which was a minigame compendium: we had a reasonable budget for that one but very little time. It’s been moderately successful: it’s made its money back, which is all we can ask for really as a work for hire. Pétanque Pro we did as well, that’s a France-only title as BigBen hold the rights and only want to release it in France, although they may want to do Italy this year too. That was actually very successful, more so than I ever expected, getting to number one in France. When we came to do the WiiWare version we wanted to go all-out with the sponsorship but Nintendo are very particular about that. It looks good though, it’s a big step up from the previous version and it should do well. NL: How about these new Pocket Packs for DSiWare? GL: This is our first DSi title, originally it was a work-for-hire for Empire Interactive but they sadly went bust so we decided to salvage some of it and make some of our money back. NL: How long did it take then to decide you needed to move into self-publishing? GL: It’s taken a while in some ways; it’s been on my mind for some time but it’s taken a while to get us to it. The Pocket Pack stuff was kind of a necessity in some way: we thought, we’ve spent that money anyway, we can either look around for a crappy deal, or we could finish it off and push it through DSiWare. We realise that there’s a lot of competition on there but we think it’ll give us a reputation as being a developer-publisher and it’ll move us on profile-wise. So that was initially kind of easy to sell internally; the other projects you saw upstairs, with the exception of Pétanque, are our own IP and that’s very much our thought now: make our own IP and push it. I think the market’s significantly changed: it already was changing slowly, but the recession perhaps has accelerated it because publishers would have used credit in the past to fund a project and that credit just dried up entirely. So we’ve invested a lot internally to get to where we are so it’s been a bit of a shift. We’re in charge of the project now which is a mixed blessing as you’ll never be happy with a project! NL: Were you happy when you were developing for someone else? GL: That’s a very good question and probably not, there’s always things you want to change and it’s always a compromise towards the end. You get into a mode where “that’s it, we’re just trying to get through this to submission,” and you’re never really happy I suppose. NL: Which is part of the process really. NL: And this is what it comes back to, particularly for small developers: you have to have a split between your own IP and things you do to pay the bills. GL: That’s true. With Pocket Pack I would have been happy to have had more pizzazz to it, but that was part of the brief with the Empire project so we thought “let’s get this to market as quickly as possible and with this being ourselves.” And that reflects on the reviews that we’ve had, and honestly I couldn’t argue with anything in the reviews. It would have been better to have got it to market three months earlier but there you go. NL: There’s nothing wrong with having a lot of puzzle games on DSiWare. GL: No but the difficulty then is getting traction against the other titles, because if you’re not in that featured four initially then that’s very difficult. That's one thing with the move to self-publishing: we have recognised that we’re not a marketer, we’re trying our own thing through social media and things like that but it’s still a toe in the water. NL: Have you spoken to other developers to see how they get along with it? GL: Yeah we attend a lot of conferences and networking events, there’s another one in a few weeks called Game Horizon which is through the Regional Development Agency [RDA] up here. There are a lot of developers up here in the North East but there was no representation at any sort of regional level, and we have Reflections and Eutechnyx here too: we’re all employing hundreds of people and there was no recognition. So one of the ways to promote the agency was to start the Game Horizon conference and now we have some pretty big name speakers. NL: That sounds similar to Game Republic for Yorkshire. GL: It was all done through the same kind of promotional idea, through the RDAs, just to get some sort of regional presence that lets you promote outside of the region. NL: Do you feel you have all the support you need as a Northern developer? Is it easier in some ways? NL: You’ve worked using BlitzTech in the past though and that’s their kind of model isn’t it? Work on some projects internally and then license the engine out to other developers. GL: Yeah, we worked on Encleverment Experiment for 360 but we’ve sort of stayed away from Xbox Live Arcade now because Microsoft has taken the stance that you need to have a publisher that puts out at least three products a year. So we can’t even setup our own publisher for Live Arcade; there’s the Indies channel for that but it’s absolutely swamped. As a company we’ve been going for over ten years and employ forty staff, but we’d have to do an Indie unless we sold it to a publisher which undoes all that ground work. NL: How about Nintendo then as a platform holder? Would you rather it gave you its expertise of how to market or would you rather find out for yourselves? GL: I think we have to find out for ourselves, because I think the roles have been devolved across the spectrum now. I had an interesting chat with Nick Lovell who writes GamesBrief.com: his background is in investment banking and he says, “you used to take your IP to sell to a publisher and they’d be taking all the risk, but now think of it as a developer outsourcing the publishing to a publisher to use what they’re good at”. They have the expertise so why not use it? That’s what we’re trying to do with the iPad and iPod stuff, that market is absolutely swamped so we’re currently entering into a multi-game deal with a publishing partner who will help us market the titles and get them into the charts because unless you’re in the charts you've got no chance really. NL: The shopfront for DSiWare and WiiWare for that matter isn't particularly well-tailored for long-tail sales either: have you noticed a sharp drop-off since Pocket Pack: Words and Numbers' first release? GL: We’re still waiting on the sales figures so I can’t tell you yet but I’d imagine probably, yes. So it becomes a case of “what can we do to push it back up?” and the answer is “not much.” The Pocket Pack stuff we’ll put out there and push as much as we can, but how much pushing can we do unless we try to market through traditional channels? How much impact would it have in the DSi community? NL: It’s tough to tell because the way Nintendo has marketed the DS is not towards a download-savvy gamer at all. GL: Yeah, and the store's interface is a bit hard to navigate I think. You can see why they’ve done it with big buttons, but in terms of a way to promote a title there’s not really many options. I think Nintendo is still finding its way with download titles and promotion and hopefully next time they can get it right. We left Mere Mortals with the lasting impression of a company in metamorphosis: having emerged from the potentially crippling collapse of a publishing partner, it's now determined to recover and make sense of the download landscape. It may not be a big name right now, but with the size of the company's talent and ambition it could be one on everybody's lips in the future. 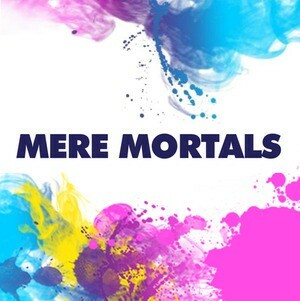 Thanks to Graeme Love and the team at Mere Mortals for their time. I have never heard of them. But i will be watching these games. Great stuff. Looks like Nintendo really is the best option for indie developers, even if you're still not guaranteed success. It's still early days for the download market really and there's still possibly more models to pursue (pay per play, subscription) and ways of compensating developers. Making games is a tough racket! I know it's not this companies fault, but boycott Slumdog Millionire. They used the child actors for cheap labor and they didn't get paid. I'd just boycott Slumdog Millionaire cause it was s***. You can see why we send James to these things now, can't you?